Having tiled floor, cloaks cupboard and composite front door to open plan entrance hall and lounge. Front Facing - Having feature fire surround, under stairs store, designer radiator, double panel radiator, stairs to first floor landing, ceiling light point and door to kitchen diner. Rear Facing - Fitted with range of wall and base units with worksurfaces over, inset sink unit, built in eye level electric oven, gas hob with chimney canopy over, integrated fridge freezer and dishwasher, plumbing for washing machine, quality flooring, designer radiator, recessed ceiling light points and double doors to rear garden. Having doors to bedrooms and bathroom, access to loft space, ceiling light point and airing cupboard housing wall mounted combination gas central heating boiler. Front Facing - Having single panel radiator, ceiling light point and cupboard over stair bulk head. 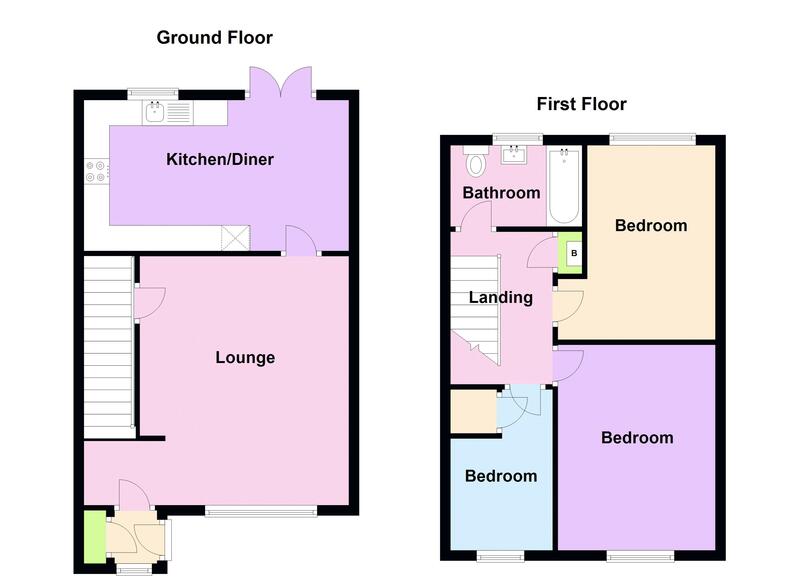 Rear Facing - Fitted with luxury suite comprising paneled bath with mixer shower over and screen, pedestal wash hand basin, low level wc, part tiling to walls, vinyl flooring, designer radiator, extractor and recessed ceiling lights. Set back from the road with an elevated position behind a well stocked foregarden, with on street parking and garage in separate block. Landscaped low maintenance enclosed rear garden with paved patio area borders and steps to further sun terrace beyond. There is also a gated side access to the front of the property.